Sad news. Dan Poynter, the man I consider the father of modern day self publishing, passed away yesterday after a long illness. Dan led the indie author movement long before the movement had a label, and long before many of its current beneficiaries were even born. Tens of thousands of writers over the last three decades have benefited from the best practices wisdom of his Self Publishing Manual, not to mention his hundreds of presentations over the years at writers conferences around the world. Dan was a mentor to me, long before he even knew me. I first read his Self Publishing Manual about 12 years ago, before Smashwords was even a glimmer in my eye. I was drawn to Dan's book because he explained the business and process of publishing. 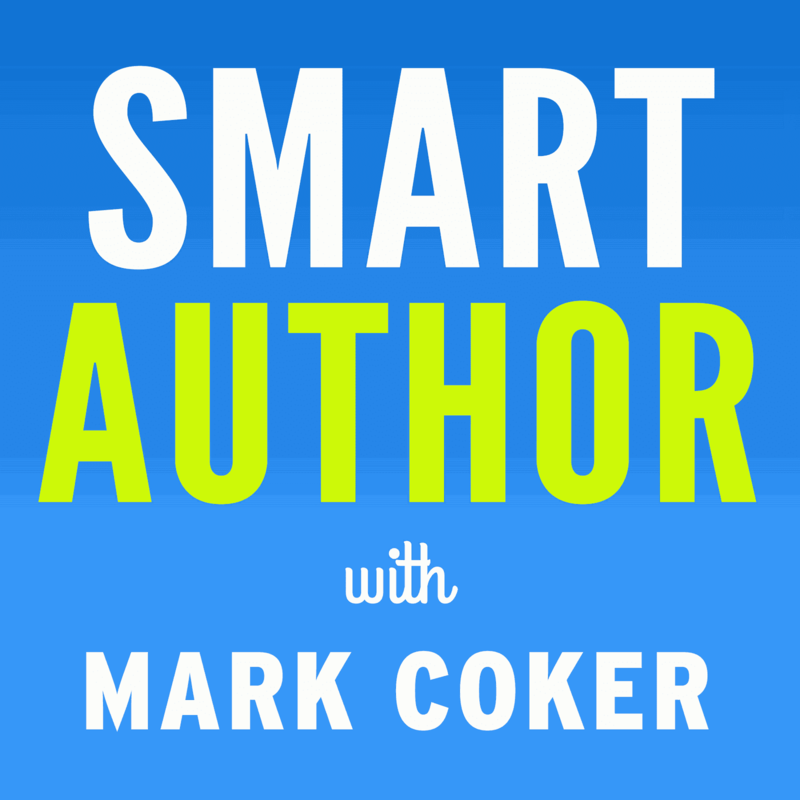 He provided writers the tools to think, act and publish like professional publishers. If you've followed Smashwords at all over the last eight years, you'll see the DNA of Dan pervades much of what we do at Smashwords. Dan was an early ebook reader and ebook advocate, long before it was trendy. I remember when I first spoke with Dan in early 2009. I emailed him and invited him to publish on Smashwords. He invited me to call him at home over the weekend. I remember I felt giddy as a star struck teenager, and I immediately found him to be gracious, selfless, caring and absolutely dedicated to empowering writers with transformative knowledge that he knew would help change the world. I interviewed him for the blog (read my interview with Dan Poynter here) shortly after that conversation. Dan changed the world. All of us - Smashwords and every indie author - are operating in a world that Dan first envisioned and, more than anyone, helped to encourage in his multiple decades of self publishing advocacy and education. Above all, Dan was an incredibly nice guy. He made himself available to every writer any time, whether at a writers conference or on email or when they called him at home. He wanted to help writers achieve their dream. Dan was an early supporter of yours truly and Smashwords, and he went out of his way to open doors for me in the early days when the stigma of self publishing meant that most everyone else greeted me with suspicion. Dan knew my mission was to democratize publishing for the benefit of writers. I had the great honor to present some of my first presentations alongside Dan at the IBPA and San Francisco Writers Conference. In many ways, the rise of ebooks helped Dan realize his vision too. 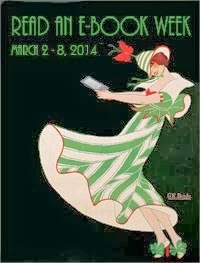 Ebooks enabled every major retailer to stock self published books, so it was this democratized distribution that finally helped the world realize, appreciate and enjoy the extraordinary talent locked between the minds and fingertips of ordinary writers around the the world. Dan believed in the potential of every writer when the rest of the industry thought most writers weren't good enough. Dan was also stubborn. He was a fighter and an eternal optimist. I learned early on during the course of his illness that he didn't like talking about it with me. He took pride in beating the odds, and he did for a long time. And he never stopped looking forward to publishing his next book, never stopped living and never stopped looking forward to helping the next author be that much more successful. Dan was a living legend. I'll miss you Dan. So long and thanks for your immeasurable contribution to the world of writers, authorship, publishing, books and human decency. If you have memories of how Dan touched you, please honor him by sharing your memories below. I don't have memories of him, nor had I ever heard of his name until this blog; but I'm grateful to him. Because of his efforts though, I'm pursuing a high school dream that I never thought I would have a wisp of achieving -- publishing a novel. He has left behind a great legacy that will honor him for years to come. Every time an author self-publishes a book, he is there. Very sad indeed. When I first joined Smashwords, and in the years since, I've heard his name mentioned warmly so many times that I've lost count. I know he was a huge influence on you, Mark, and it makes me wonder if Smashwords would be what it is today without him. I'm so glad I had the opportunity to meet Dan at SFWC and see the spark he shared with so many. Truly a gentleman. RIP Dan, and thank you. From the Dropzone article it's clear he had a fascinating life: "Dan's career began with the management of a parachute company in California, after which he became more involved with the design aspect of parachutes and became a design specialist. An active and skilled skydiver..."
Perhaps, before memories begin to fade, an author inspired by his example could give us a biography of this kind and gifted man. Dan spoke at our CWC Branch a couple of times - up from his home in Santa Barbara on his own hook. Yes he was a popular guy, drew even more writers than Mark. Too bad he is gone (in person), but his love for the publishing world and its writers will sustain. Never met Mr. Poynter, but his legacy is well-known and he was truly a pioneer. Condolences to you, Mark, on his passing. Thank you, Mark, for this. It is indeed sad. Dan and I had been friends over 30 years. I visited him in his Santa Barbara home/office several times. He was a great mentor and inspiration to me, and to many others. Dan deserves much of the credit for helping me become a writer, and to reach the place where I am today. Dan was the best man at my wedding long ago. He and I shared a love for aviation. He was a pilot, as I was, and also a parachuting expert. He was a man of many talents. But, more than all that, he was a genuinely good and kind human being. His generosity is legendary. I shall miss you, Dan. Godspeed! I met Dan At SFWC - He was lovely and very interested in helping author realize their dreams of publication. He was one of the first authors I read who encouraged and explained self-publishing - a maverick, and one of my big influences. I'm so sorry he's gone! Thank you for the beautiful post! Dan and I often spoke at the same writers conferences, and I was proud to consider him a friend. Long ago he began listing me as one of his recommended editors, and when he began his list of recommended book shepherds, he added me there, as well. He changed the face and the opinion of self-publishing the world over and helped countless writers achieve their dreams. It's a sad day indeed for all writers, to lose a man as valuable and as helpful as Dan Poynter. Dan will be greatly missed. His self-publishing manual was my bible in the 1990s. I still have the pages I xeroxed from it, which I kept in handy files along with my own research. That was back when Dan was the only person really talking about self-publishing. As it turns out, I ended up publishing with a traditional house, but I learned enough from reading Dan's book to understand what the publishing process is all about. Thank you for writing about him so eloquently. Dan's book was the first one I read when I decided to self-publish, and I followed all his recommendations. What a wealth of knowledge. I saw him speak at the San Francisco Writer's Conference. And I found that he was reprinting my blog posts in his newsletter (with a link to my site, of course) every couple of weeks, which delighted me! He will be sorely missed. RIP, Dan. I followed Dan Poynter from 2003 when I self-published my first book. I had his book and John Kremer's and between the two there was such a wealth of information I was able to go from knowing nothing to actually publishing a book. That book is still selling (over 30,000 copies) and so much of it is from following as many points as possible as Dan outlined in his books and website. A lot of friends were amazed that the book did so well but I knew it was because I used Dan's book like a recipe and followed everything as carefully as I could. One thing I remember was that he said if you are going to do a book make sure it is the best book on the market of its type. Make it the "definitive" book - so that it will stand out and above the rest. Dan used his gifts well. He will be missed but his legacy continues. I didn't know him. And I feel sad about that. My condolences for your loss. I think I understand a little because the mystery world recently lost a prolific writer and giving-as-all-get-out person and we are still reeling. Thank you for the 'introduction' to Dan. I didn't know Dan. He was a true pioneer and many have much to be grateful for because of him. RIP Dan and many thanks from me and my fellow indie authors. I met Dan Poynter back in my skydiving days. Dan wrote and published The Parachute Manual; he was widely known and respected in the skydiving community for his technical expertise. That's when he started self publishing, for a niche market. I came across Dan again at the Maui Writers Conference, back in the mid-1990s, where he gave a self-publishing seminar I attended. In 2014 I had the honor to win a silver award for one of my own novels from his e-book award program. Blue Skies, Dan. Your work definitely made a difference in my life. Thank you for the lessons and RIP, Dan. I met him (and Mark) at the 2010 SFWC and have seen him at other venues since. Dan was a towering figure in the industry with something like 160 books. Yet he was totally approachable, a genuine person. He taught me to go after publishing dreams and was not a fan of exclusivity. He encouraged us to sell our books everywhere and however we can. I still have my copy of Dan’s Self-Publishing Manual that I got so many years ago that I don’t want to remember. He was the person who separated modern self-publishing from “vanity” publishing, way before the e-book era. It’s too bad that so many industry pundits still don’t get the difference. But, thanks to Dan, we know… and that’s what counts. I wish I did have a personal memory of Dan Poynter. He was a legend in self-publishing. And those of us who now call ourselves "indie" have stood on his capable shoulders. Like many of the earlier commenters, I never met Dan Poynter. I never talked to him on the phone. I never saw him at a writer's conference. But when I retired and decided to take up again the writing I had abandoned many years before, his was the first newsletter to which I subscribed. I never failed to get several gems from those, and I subscribed as long as he produced. I don't know what will happen now, but I know that everybody who ventured into his orbit gained from that association. To have left such a legacy is to live forever. I finished my trilogy in 2007 and started the doomed-from-the-start quest for an agent. During the year I spent sending out queries, I read Dan Poynter and took the steps he suggested to self-publish. I signed up with Lightning Source. I published the paperbacks in October 2008, and had the ebooks out by Christmas. It wasn't an easy process then. I had to learn InDesign to typeset the books, Photoshop to do the covers, Dreamweaver to do the websites. But my books are in print and making me a modest living, and they would never have seen the light of day from a traditional publisher. I'm sorry to hear of Dan Poynter's death, and I'm sorry I never thanked him. Knew Dan from the days of the Committee of Small Magazine Editors and Publishers (COSMEP) circa 1980. Particularly recall the Friday morning after a Thursday night wrap-up party at the COSMEP annual meeting at the California University of Pennsylvania. Dan partied with the best of us, but he made sure we were awake for his early morning workshop by beating on a pot with a ladle until he was convinced we all got the message. Always hard-working, always entertaining. I was shocked to hear about his death; somehow I never expected that to happen. I received the news from writer Alexander M Zoltai (reposting Mark Coker's announcement) this morning: Dan Poynter has passed away...or as he would probably pun himself, parasailed away. This saddens me greatly, as I had the amazing opportunity to spend four weeks (one day per week) in Dan's class about 20 or 30 years ago, when he taught in Los Angeles at the Learning Annex. Mark Coker is right on about Dan's likability and generous nature. He always reminded me, in his looks an mannerisms, of Johnny Carson. I'm sure you can see the resemblance in the photo. Not only has the world of self-publishing lost great person, but anyone who knew him has lost a friend. I never had the privilege of meeting him in person. I would have loved to. I started reading his newsletters and books early in my ebook career around 2009 to 2010 (can't remember exactly when). I have some of his books on my book shelf. I really enjoyed his view on self-publishing. I don't know if it's appropriate to share this link here for Author U, but I received this email the other day and am planning to join it. I figure since it's in the tradition of what Dan started in providing authors with a good education, it might fit here. If not, you can delete this: http://authoru.org. Back in the early '90s I was an editorial assistant in a scholarly publishing company in S.F. and I accompanied another editor to one of Dan's conferences. I don't remember if it was in Santa Barbara or Monterey. But I did meet Dan, and I'm sure I still have his self-publishing manual somewhere among my books! I remember thinking back then that the process of self-publishing was an incredibly hard slog and it didn't seem to be as useful for fiction (which was all I was interested in), but I admired Dan's tenacity and energy. He certainly is associated forever in my mind with the (then very foreign) concept of self-publishing! Later I was pleased and flattered to be included in his list of editors. The man just never stopped. You really did justice to Dan with your eloquent tribute. As everyone who was fortunate enough to know him has pointed out - he was a kind, generous man who was devoted to helping others become authors. I was moved to write the following, and hope others continue to honor Dan by doing what he encouraged us to do, take a moment to WRITE our thoughts which is how we connect with others and scale impact - for good. "Those of you in the writing-speaking-publishing industry may have heard that Dan Poynter passed this week. Dan was a visionary and a respected icon in our industry. At our first Maui Writers Conference 20 years ago, Dan told our audience, "If you wait to write, you're not a writer, you're a waiter." Thanks to Dan, thousands of people around the world stopped WAITING to write. They turned their writing dreams into reality and got their books out of their head and into the world where their insights and stories made a positive difference for others and a prosperous living for them. Dan was one of the first experts to advocate and teach how to self-publish ... 30 years ago, before it was considered a viable option. He believed everyone had a voice and a right to write and should have the option and autonomy to get their insights into print; instead of a few publishers determining whether what they had to say was worthwhile. I had the privilege of co-hosting many writers' workshops and panels with Dan. He was in integrity every single time, and dedicated himself to providing clear, comprehensive, step-by-step instructions so people knew exactly how to write, publish and market a QUALITY book that added value for all involved. 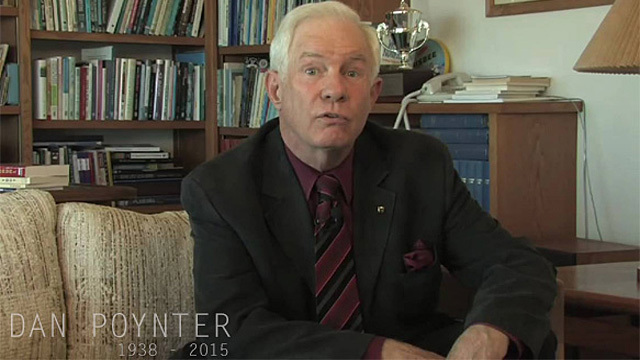 Thank you, Dan Poynter: You honored our profession. We were fortunate to know you, to have learned from you, and to have been inspired by you. ... so his loved ones have ongoing evidence of the lasting legacy he left? I never met him, but I am eternally grateful for his paving the way for self published authors. Otherwise, we might never have realized our dream. I met him once, about 20 years ago. I was supposed to illustrate for one of his books but wasn't able to. Someone else from my class ended up illustrating the book instead. I still have his raw copies. I met him at his house. He told me he didn't want to do law, but instead wanted to publish. He told me he ran everything out of his house. He told me about his hobby parachuting. I just thought he was a local Santa Barbara guy who wanted someone to illustrate for him. Just seemed like a really normal nice guy. Later, I did not know he was such a leader in self publishing and knew so much about parachuting. I also did not know he used to run his business out of oakland which is where I live now. So today I was at the gym and I grabbed a book home called "The Older Cat," as my cat is old. I looked at the author, and I'm like hey that's Dan Poynter, I remember him. I have followed him on and off since I met him. I looked him up today and sadly found out he passed away. It seemed to me he should've lived much longer. I did not know him, but just from that meeting, he was really nice. I wish he was still alive doing his thing. Since I met him, I follow him once in a while to check out what he's up to. I didn't know he liked cats so much. The news of Dan's passing brings tears to my eyes. His book, The Self-Publishing Manual was the Bible for my coauthor, Bennie Bough, and I as we wrote and published our first book. It was remarkable how successful that book became, partly due to the knowledge we gained from Dan's writing and partly due to the confidence he endowed within us. The book sold thousands of copies, was on library shelves, and eventually translated and sold by publishers in 12 countries. I later met Dan when I lived in the LA area and sat in many of his mini-seminars. I am sorry to hear of his illness. He was a great man and he has left a rich legacy. God be with him and the family and friends. What a legacy! I've read many of Dan's books and enjoyed his gracious persona as he shared his pragmatic, can-do, forward-looking wisdom in a program one evening. I think we need a "Spirit of Dan Poynter Day". He's enriched the professional and personal lives of many, both directly and indirectly. Dan Poynter wouldn't remember me, but I shall remember him. Thanks, Dan. You may be gone but your service to others lives on. I had the good fortune of meeting Dan in Singapore in 2010 during a preview to his seminar. My condolence to his family. May Dan rest in peace! Oh no, he was timeless. I'm so sorry to learn of this.In the late 80s I became disgusted with my major publisher of my first 2 books. As a bookstore owner, I was aware of his manual, so I used it as blueprint and published my first self-published book. Creativity flowed and I published more I became a bestseller for Doubleday's Military Book Club. Meanwhile, at every ABA and BEA book expos, when I would run into Dan, I would always exclaim, "It's all your fault!" He would smile, knowing how much hard work goes into this business. Many was the hour we would sit around discussing politics and world event (I am a retired Military Intelligence professional). We found we had similar world views and he always sought my views. He was so gracious and caring. Later on he encouraged my forays into book reviewing and editing and book interior designing. He endorsed me, and provided me an advertising forum in his list of resources.He was always the champion of the downtrodden writers such as myself, and yet was always so kind, generous, and a practitioner of what he preached. He influenced thousands upon thousands of frustrated writers. God bless him, his family, and all those who were saddened as was I.
I had known of Dan Poynter and his great influence on indie publishing. He left our world a better place. I can't believe I just found out about this. Dan was hugely instrumental in my early success as a published author. I was even honored to attend a writers conference in PA a few years ago, where I met Dan face to face. Such a giving man. He will be missed. I met Dan nearly 20 years ago ... I was a new member of the Bay Area Independent Publishers Association and was attending my first "annual BAIPA seminar" ... with Dan as the speaker. After joining the BAIPA board, I was able to meet him more personally during the BAIPA board/speaker dinner held the night before our annual seminars -- and Dan gave me some great advice about the difficulty of making money by producing books (I was a book designer before my retirement) and he encouraged me to put my skills into a book. (Book Design and Production: A Guide for Authors and Publishers, published in 2005 - with Foreword by Dan Poynter.) Eventually, I became a multi-term president of BAIPA and also gave talks on book design and printing at various events -- sharing the stage with Dan... and enjoyed several lunches with him at IBPA (formerly Publishers Marketing Association) pre-BookExpo "university" events. The world has lost a great resource. I remember going to one of Dan's trainings in the Los Angeles area in 2002. Magazines like "Time" and "Newsweek" were calling Dan the Guru of Self Publishing. I felt blessed to be in the room with Dan, a true "light keeper." He was so sincere wanting us writers to get our work published. I was so happy that only 10 others were in the training. Dan wanted to keep the trainings small so that he could answer questions, which he did. I always wanted to go to the author trainings he held in his house, but it never worked out. Plus he was always traveling the world with his Self Publishing message. Because of Dan and his inspiration, I wrote my first book, "A Cry for Light: A Journey Into Love," which won the USA Book News Award for Christian Inspiration. I know if it wasn't for Dan, I would not have had the knowledge to self publish my book. I followed his guidance in his classic, "Self Publishing Manual," to the letter. I constantly refer anyone I know who wants to get their work published to that book, his website, and newsletter. Dan was an avid Sky Diver, so appropriate for a pioneer in the book industry, who thought the sky was the limit to publishing your book. Mark, thank you for your beautiful tribute to Dan. He truly was a trailblazer for self publishing. Thank you Dan. I will always be grateful to you. Dan didn't know me from Adam's house cat when I first wrote him an email more than a half-dozen years ago. He responded to me as if I was a long lost friend. You could tell he enjoyed helping others and he passed on his enthusiasm for writing and publishing. We so enjoyed the Publishing Poynters. Thanks Dan for opening up the world of self-publishing to us all and for reinforcing our dreams. I published my first book in 2005 and Dan Poynter's book, Self Publishing Manual was my bible. I followed it to a T. I also subscribed to his self-publishing newsletters every month. They helped me to market my book(s) and were a great source of book publishing information. His contribution to the self-publishing world was instrumental and appreciated. I had a vision - a way to help talented authors through creating an "Authors Helping Authors" contest and project all in one. Dan not only put me in touch with his graphic artist, Sean Somics, (whom I have now worked with through six published books), but he really put Tales2Inspire on the map. By posting my blurbs in his newsletters, the global reach and credibility of my project soared. I received inspiring story submissions from across the globe: Australia, South Africa, England, Canada and all parts of the USA - all because of Dan. I had the privilege of being an advance reader for his book on bone marrow transplants, and admired him enormously for both his forthrightness and optimism. It's hard to imagine that Dan is gone, but he certainly left behind quite a legacy. Sorry to hear of Dan's passing. I recall meeting him, for the first time, at a National Speakers Association (NSA) event. I was transitioning from a long career in the corporate world and Dan was kind enough to share his thoughts on the benefits of self-publishing for someone in my situation. His advice and his books would ultimately provide a big assist when I finally got around to publishing my first book. It also led to my wife publishing her first book. I am certain he will long be remembered through the written and published works of those he touched during his lifetime. I spent time with Dan on many occasions over the last 10 years, not as a fellow author, but as a fellow speaker. I cannot see it mentioned here but Dan was a very enthusiastic member of the National Speaker's Association in America and he attended our conventions in South Africa on a few occasions to contribute and share. Such a generous man. Generous with his time and his knowledge about writing and speaking (and, of course, parachuting, frisbees and so many other things he was an expert on). I was lucky enough to bump into him again in Washington this year. A shadow of his former self after his accident, he still had time too share a quiet meal and a few stories.Thank you Dan for helping me publish my books and expand my ideas. Thank you also for helping so many other members of the Professional Speakers Association of Southern Africa. We miss you. I first met Dan 20 years ago, back when self-publishing meant 10,000 units in your garage. He was always helpful and supportive, a gentleman among men, and one I fondly credit with helping me navigate the early publishing waters. Dan, your presence will be missed--yet I hope to read and share great books and talk about writing some far day in the future with you. In the meantime, gather together a writer's group, as you did when you were here. The very best wishes and condolences to your family. I’d never heard of Dan Poynter before reading Mark’s blog but had always sensed somebody must be behind the transformation of the publishing world. Being an influence on Mark has meant, in many ways, he’s been an influence on myself. I’m sure nobody knows how many self-published authors are out there – certainly more than a million. All of them have probably needed ‘a leg up’ (as we English say) to get into the market – and I’ve certainly had that from Mark and the team at Smashwords as my catalogue must show. So thanks to the Smashwords team, and behind them Dan Poynter. However many books we sell, we have had the chance to release that urge within us to write. Nevertheless, spare a thought for the BILLIONS of readers out there. For centuries they’d been constrained by the log-jam called the Publishing Industry. Now they can access works on perhaps undreamed-of subjects – maybe aspects of life societies had never (wanted to?) consider. To many it may well appear a new world. So thank you, Dan Poynter. At least now I can put a name to one of the foundation stones in a world-changing movement. I too was one of those writers who had Dan's book on my shelf--I probably still do! It was read cover to cover and offered a tremendous amount of help when I started writing books. About a decade ago (?) I had the pleasure of attending a class he gave in Florida. I am so glad I did. Dan was genuinely passionate about what he did. When he said he didn't want anyone dying with a book inside them, he meant it. He will be missed but leaves a tremendous legacy. I ran into Dan's work for the first time when I was training for my Senior Parachute Rigger license from the FAA. Day Poynter's Parachute Manual was and still is the bible for those getting their rigger's license. I spent many hours going through his book, learning how to stich a harness together, how to patch a canopy, how to pack a reserve parachute. I always saw Dan as a fellow jumper, a guy who wanted a parachute manual and when none was to be found, he wrote his own. Dan Pointer was my guru in the road to self-publishing. I've used his book as my bible, and it helped me tremendously with my first book. Thank you Dan. You have now ascended with the immortals. I had no idea he was seriously ill. I am saddened at his passing. I heard that Dan was going to address a writer's group in Los Angeles. It was a Christmas dinner event in 2009. I bought a ticket and was eager to hear what he had to say. I already owned a couple of his books on self-publishing He was a dynamic speaker and took time to speak to anyone who came up to him before and after his speech. He was a fantastic person. He will be missed. I read Dan's books more than 20 years ago and though I didn't know how to make them work for me, I knew that the information on the pages was gold. I'd heard him speak a few times and each time he inspired me to reach my dreams. He knew if there was a book in someone, he had a viable way to get it out there to readers. He was awesome that way. I was hoping to hear him at least one more time, so it's quite a shock to learn he was ill. I had an invite from him once to go to one of his one-on-one seminars that he only gave to a few every year at his own home. I never seemed to have enough money to do it as it was quite expensive for me at the time. Now I wish I'd borrowed the money and got there anyway as I know his words of wisdom would have had me on the self-publishing trail much sooner than I was. He will be sorely missed. Self-published authors all over the world will forever be grateful to his efforts. My sincere condolences to his family. I am saddened to hear the news of Dan's passing. I bumped into him on one of the threads on Amazon. I'd read his books and he'd invited me to enter the Global Ebook Award. He was such a kind and generous man and will be missed. Author SCARS Winner Global Ebook Award Christian/Religious Fiction. Dan helped me out tremendously when I first started writing my book. I bought: Self-Publishing Manual Vol. 2. It has a tons of valuable info which I read voraciously and referred to frequently. I would drop him a line occasionally when I was stuck or confused about something. He always wrote back. He traveled quite a bit, yet still had time for a cryptic message if that's all he could spare. I had the privilege of speaking to him during a webinar, again, great advice. He definitely was the go-to guy. I received his newsletter and gleaned even more info. I was also a Global Ebook Awards nominee. I did not know him,but I am very thankful he did what he did in life. He very well may have saved my life. He will never know what good he had achieved. Dan was my mentor. He helped me out so much when I published my first book in 2009. He was not only a legend in self-publishing (for me he was the 'Oprah Winfrey' of self publishing) but Dan was also the most approachable and sweet human being I have ever met. His generosity was and still is truly legendary. You will be missed, Dan.